I wasn’t sure what to do for most of South Dakota. All I knew of it was Wall Drug, the Badlands, and the Black Hills. While at least two of those things are well worth the trip, there’s a lot more area to cover when crossing South Dakota. I was worried about being stuck on I-90, watching the blood slowly drain from my veins as I mentally ticked off the mile markers. in Minneapolis I met a member of a tribe located in southern South Dakota, and he assured me that there was more to see if I knew where to look – especially if I got off the interstate. He told me I was better off on highway 18, which runs parallel to I-90 but near the state’s southern border. He also told me to check out the music museum. Vermillion, South Dakota is not a large town, and the University of South Dakota is not a large school. 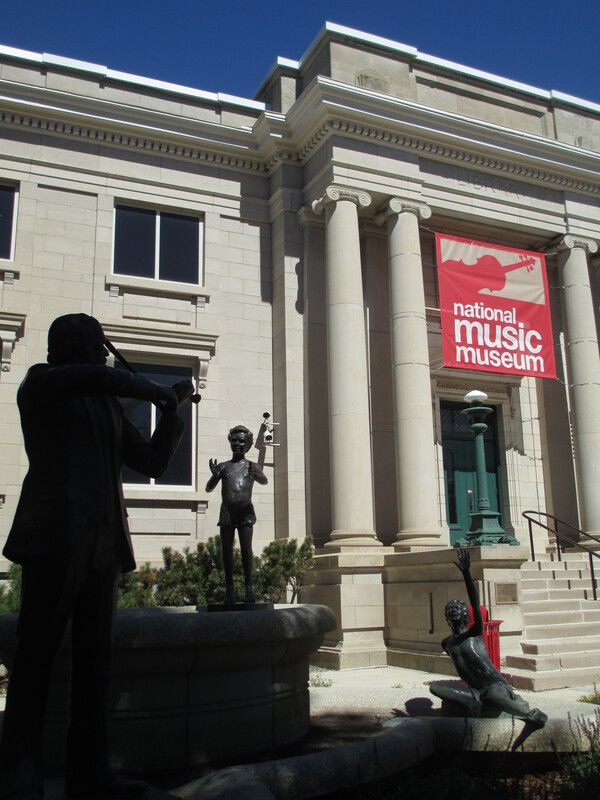 But tucked away in a smooth stone building on the south edge of the campus, you’ll find the National Music Museum. I walked up to the front counter on a Friday morning, ready to pay my admission fee. The woman said the museum was free on Fridays, and offered me an iPod with which to listen to the audio tour (also free). I took my museum map and iPod and thanked her. I walked into the first room, which was filled with old stringed instruments, including many rare pieces from Europe. And there was a Stradivarius. 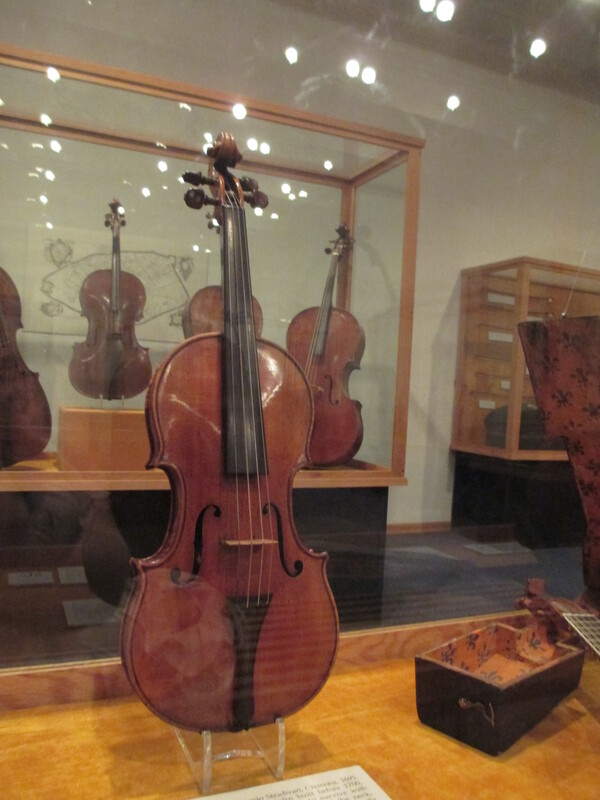 Like, a real Stradivarius. The kind that sell for millions of dollars. There were several, in fact. As I listened to the audio guide tell me about the most famous violin maker in all of human history, I looked up and around, trying to see if anyone else was as flabbergasted as me to find such a thing in this little corner of South Dakota. After checking out the only Lira de Braccio in the Western Hemisphere, I moved onto the next room, which featured members from the most unusual branches of the piano family. There were large organs and tiny keyboards. A few of them were so adorable and compact I wanted to take them home with me. I learned the origin of the phrase “pull out all the stops.” It comes from the organ, which has a numbers of pegs known as stops that control the air moving through the pipes. You would get a very powerful sound if you were to pull out all the stops. Upstairs I saw horns with no keys, whose sounds were made by the player’s embouchure alone. I learned that the saxophone was, in fact, invented by Mr. Sax of Belgium. I even got to see a Glass Armonica, one of the many things invented by Benjamin Franklin. 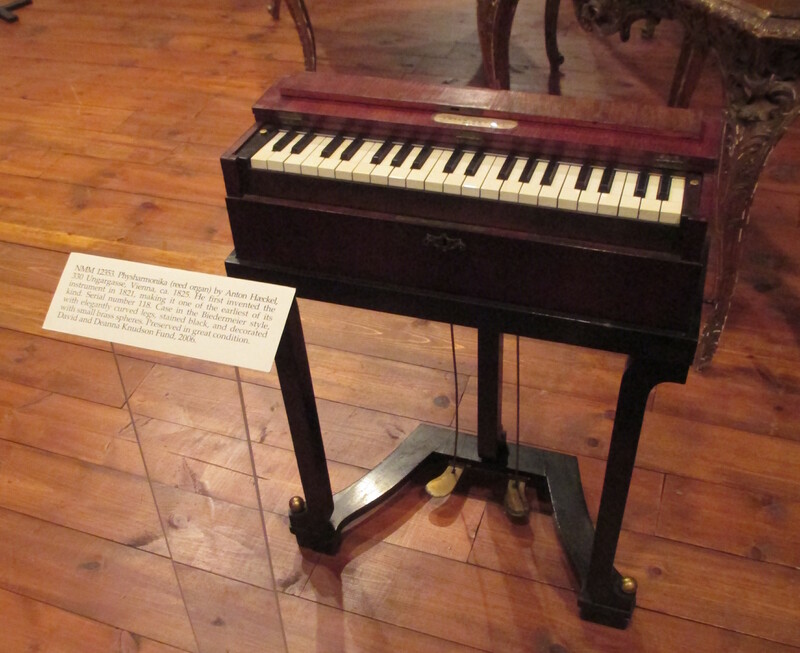 Inspired by the sound of a wet finger on the rim of a water glass, Franklin designed and built an instrument made of glass bowls, which the musician would play using a moist finger. There was even a tiny metal bowl built in to keep some water nearby. 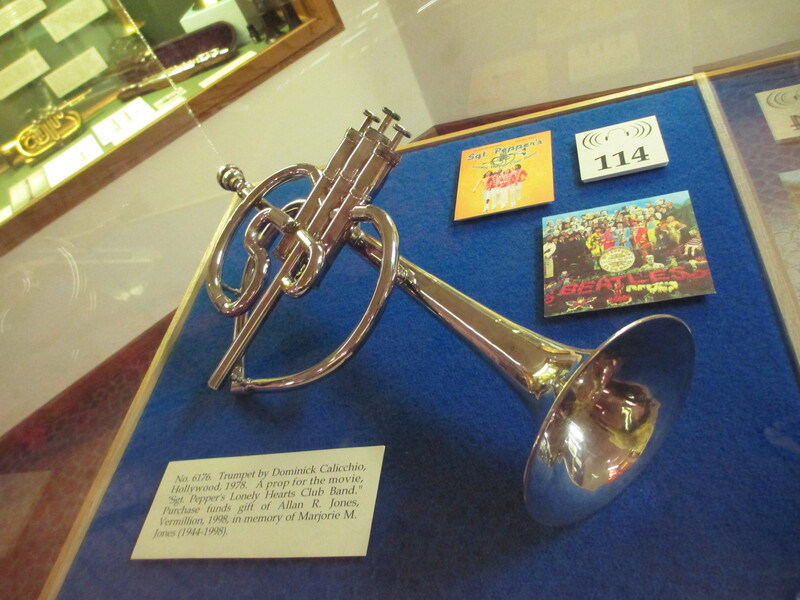 As my time was running short, I only had a few minutes to check out the player piano, the Indonesian gamelan, and the original heart-shaped trumpet from St. Pepper’s Lonely Hearts Club Band. On my way out I stopped to look through a few postcards and the woman at the counter handed me a stack of extras for free. The cards had black and white images of unusual music-related scenes, such as a baby inside of a tuba or Mr. Rogers holding a double bell cornet. It’s no secret that the world is filled with tiny surprises like these, and that you’re most likely to find them when you’re not looking. But most travel surprises are valued simply because of their oddity, their contrast to the expected. The National Music Museum certainly falls into that category, but it’s also an objectively interesting and valuable place. It’s a fascinating, well-curated collection of rare and valuable pieces. It’s cheap most days and occasionally free. It’s the kind of place many cities would love to feature as part of their downtown tourist area. But it’s not in a big city. It’s not even on the main road of the small town of Vermillion. The National Music Museum is the most impressive place I’ve ever found on such an unimpressive street. And it is a long way off of the interstate.